There is one way to Discover them all. There is one way to Configure them all. There is one way to Update firmware of them all. There is MANY ways to communicate with them all. 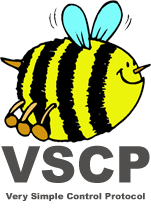 Discover VSCP, the uniting IoT/M2M framework.